Edward Cotlier, M.D. was formerly Chief of Ophthalmology at the New York State Institute for Basic Research in Developmental Disabilities in Staten Island, New York. He trained in ophthalmology and molecular biochemistry at Washington University, where he was a professor. He also taught at the University of Illinois (1970б976), Yale University (1977б983), and Cornell University (1983б985). Dr. Cotlier received an honorary Master of Science degree from Yale University and was Chief of the Division of Ocular Genetics there. From 1986б990 he was Chief of Ophthalmology and Consultant in Pediatric Ophthalmology at the King Khalid University in Riyadh, Saudi Arabia. He served for 12 years in the National Institutes of Health and National Eye Institute committees in Washington DC. Dr. Cotlier has published 120 articles and three books on molecular biochemistry of the eye, ocular genetics, and pediatric ophthalmology. He has organized three symposia dealing with eye malformations and defects in children sponsored by the March of Dimes Birth Defects Group. He received the Waardenburg Award [Netherlands] for research in genetics in ophthalmology in 1984, and was the recipient of the 50th anniversary United Nations Honor Award in 1995. Dr. Cotlier is the medical consultant to the United Nations and organizer of the 2007 ғtem Cell SymposiumӠat the United Nations in New York City. 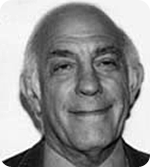 Professor Bron was Head of the Nuffield Laboratory of Ophthalmology between 1973 and 2003, and is now Professor Emeritus at the University of Oxford, where he is actively engaged in research. His early training was in physiology and medicine at Guyճ Hospital in London, after which, between 1964 and 1965, he completed an MRC-supported research fellowship at the Wilmer Institute in Baltimore. His residency training was at Moorfields Eye Hospital, London. Professor Bron is interested in the external diseases of the eye, including corneal healing, dry eye, ocular infection, and inherited corneal disorders. He also has a major interest in the causes and mechanisms of cataract and glaucoma. At various times, he has served as President of the Ophthalmic Section of the Royal Society of Medicine, Chairman of the AER (Association for Eye Research), Vice-President of JERMOV (Joint Eye Research Meetings in Ophthalmology and Vision), and Chairman of the Corneal Section of EVER (European Association for Vision and Eye Research). He is a fellow of the Academy of Medical Sciences, and honorary fellow of the Royal College of Ophthalmologists. He was President of EVER and Secretary of ISER from 2003а4. He is currently Secretary of the Tear Film and Ocular Surface Society (TFOS) and was Co-Organizer and Chairman of the International Dry Eye Work Shops (DEWS) and served as Chairman of its Steering, Diagnostic and Writing Committees. The report was published in April 2007. He has authored over 230 publications and serves on the Editorial Board of six peer-reviewed journals. He has lectured extensively in the U.K. and abroad. He was recipient of the Castroviejo Medal in 1992, the Doyne Medal in 1996, and the Javal Medal in 2002. He delivered the past Presidentճ lecture to the EVER Association in September 2004, the Joan Patel lecture of the British Sjճgrenճ Syndrome Association in November 2004, and the Dohlman lecture of the Tear Film and Ocular Surface Society in Puerto Rico. He is a recipient of an Alcon Research Institute Award. 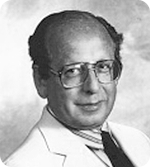 Professor Bron is co-author of several books, including Wolff's Anatomy of the Eye and Orbit, Ocular Infection, Lens Disorders and Lecture Notes on Ophthalmology and the Unquiet Eye. Yuri S. Oleynikov, M.D., Ph.D., is a sub specialist ophthalmologist specializing in Cornea, Refractive, and Cataract Surgery at Cornea Genetic Institute, Cedars-Sinai Medical Center. 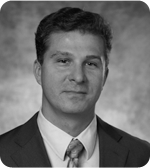 Dr.Oleynikov comes from the Cornea, Refractive and Uveitis Division at Jules Stein Eye Institute at UCLA. At JSEI he performed new keratorefractive surgical procedures and conducted research as an Associate Refractive Surgeon in the Laser Refractive Center at UCLA. Dr. Oleynikov attended to patients with corneal and external ocular disease and cataracts in the Instituteճ University Ophthalmology Associates practice where he performed cataract surgery, whole cornea and DSEK transplant surgery and advanced artificial cornea implantations. Dr. Oleynikov joined the Jules Stein Eye Institute in July 2006 after completing his training at Columbia University, New York, where he was a recipient of the first B.D.Srinivasan Research Award. His research focused on fundamental mechanisms of angiogenesis in a developing eye. Dr. Oleynikov is actively involved in ophthalmic research. He has authored multiple journal articles and presented at national and international ophthalmology and molecular biology meetings. Dr. Oleynikovճ research at this time is focused on safety and predictability of keratorefractive surgery. His clinical interests include wavefront technology, phakic intraocular lenses, keratorefractive surgery, corneal transplant surgery, and cataract surgery. He is also an active member of the American Academy of Ophthalmology and American Society of Cataract and Refractive Surgery.